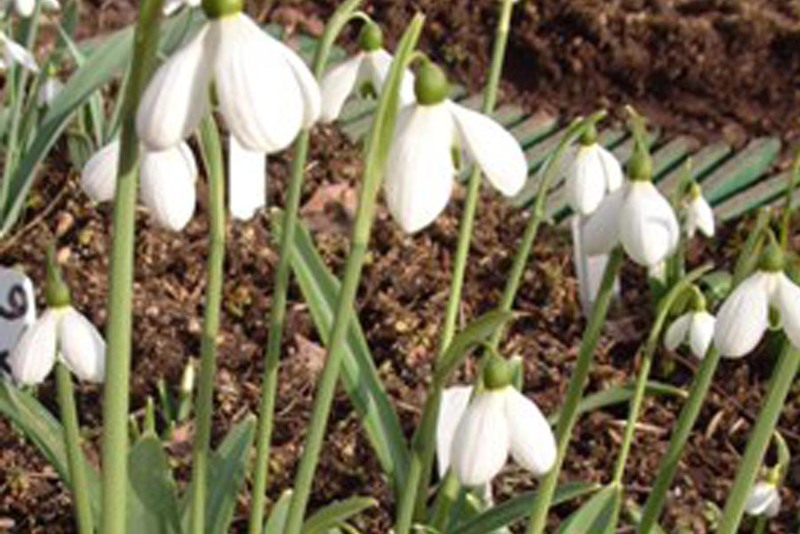 Galanthus plicatus is a large and robust snowdrop native to the lands surrounding the Black Sea. It has large leaves broadest about the middle and with distinctive curled edges. 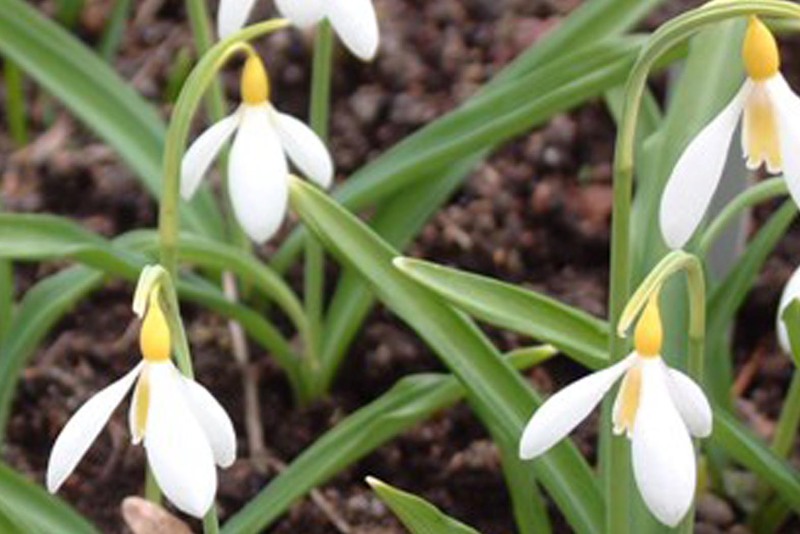 Plicatus usually produces two flower stalks per bulb, unusual amongst snowdrop species but a very valuable attribute that it has passed on to many hybrids with plicatus ancestry. Plicatus has not been imported in anything like the quantiy of elwesii, but has been introduced many times and become established in different parts of the country. 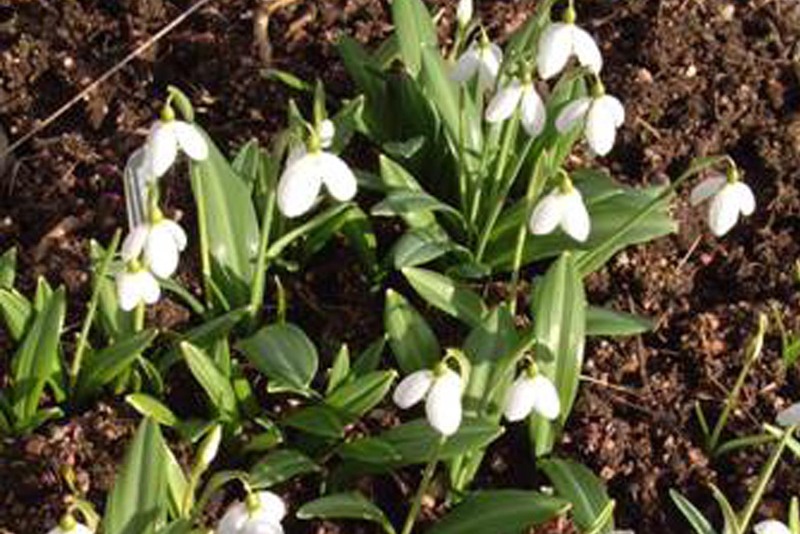 Numerous selections now exist and many of them are very fine plants indeed. 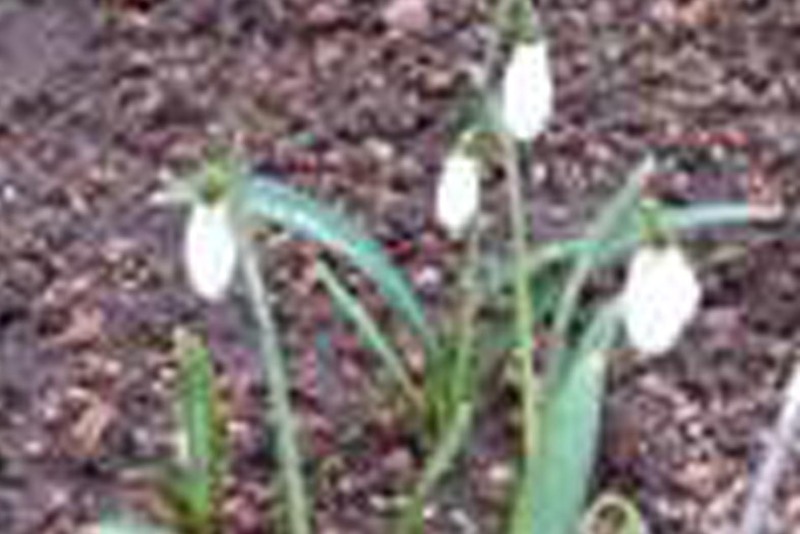 Plicatus tends to flower at about the same time as nivalis, although it too has its early and late varieties.